Leading the way to an informed community. Alpha Tau Omega (ATO) is America’s Leadership Development Fraternity. The Beta Upsilon chapter is housed at the University of Maine. 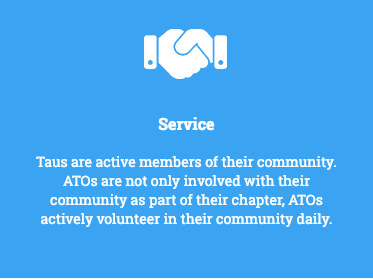 ATO’s mission is centered around leadership development, both organizationally and individually. 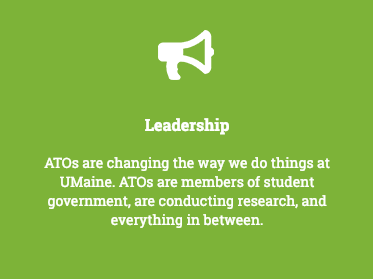 ATO at the University of Maine’s goal in web development was to a) build an online brand to match the organization’s vision and values, and to b) engage with alumni members of the chapter. Using national branding standards – mainly the organization’s deeply ingrained colors, a local chapter website and online visual brand was born. A major functionality of the website is the donation management platform built right into the site. This allows for chapter leadership to engage Alumni, solicit donations, and coordinate incoming funds. This allows give the chapter a tool to collect contact information of interested parties so that further engagement can occur. 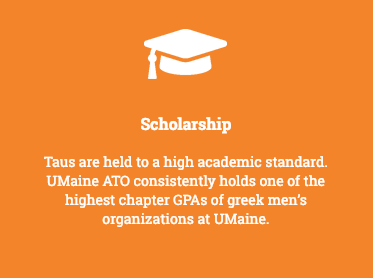 As a fraternity, Alpha Tau Omega is centered in values that are held true to the chapter. When developing this site, of primary importance were the values of the organization. It was important to engage these values within the site development process, as well as ensure that these values are shared prominently to ensure that prospective members are engaged with the values from Day 1. 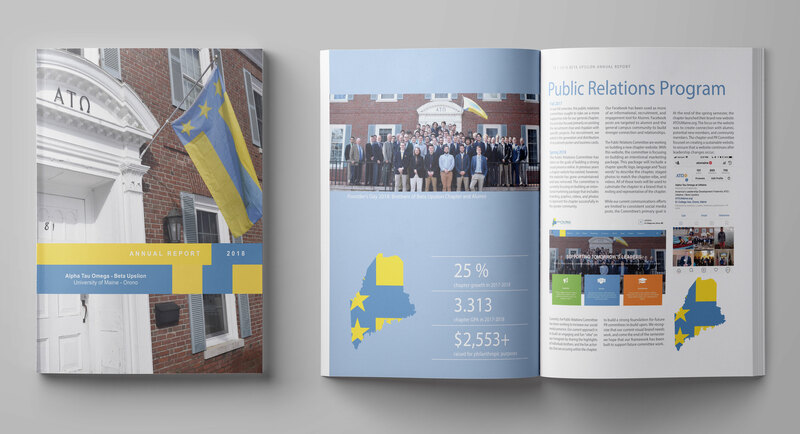 Alpha Tau Omega is tasked annually with representing the chapter’s successes through an annual report. Using the chapter’s newly implemented brand, an Annual Report was produced that helped the chapter remain on-brand, and on-message. This visual annual report was designed to present the successes of the chapter in a concise, visually appealing, and consistent fashion.